SANTA CLARA, Calif., Nov. 8, 2017 – Intel today announced the appointment of Raja Koduri as Intel chief architect, senior vice president of the newly formed Core and Visual Computing Group, and general manager of a new initiative to drive edge computing solutions. In this position, Koduri will expand Intel’s leading position in integrated graphics for the PC market with high-end discrete graphics solutions for a broad range of computing segments. Koduri brings to Intel more than 25 years of experience in visual and accelerated computing advances across a broad range of platforms, including PCs, game consoles, professional workstations and consumer devices. His deep technical expertise spans graphics hardware, software and system architecture. Koduri, 49, joins Intel from AMD, where he most recently served as senior vice president and chief architect of the Radeon Technologies Group. 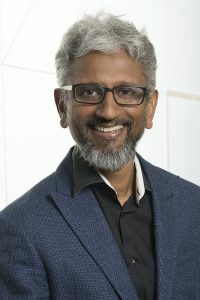 In this role, he was responsible for overseeing all aspects of graphics technologies used in AMD’s APU, discrete GPU, semi-custom and GPU compute products. Prior to AMD, Koduri served as director of graphics architecture at Apple Inc., where he helped establish a leadership graphics sub-system for the Mac product family and led the transition to Retina computer displays.